One of the best things about a holiday at Skelwith Fold is undoubtedly the location. 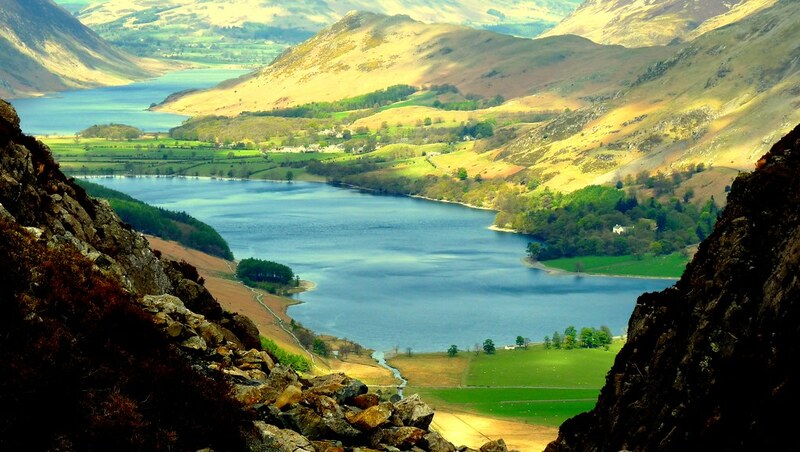 The Lake District is not only a place of adventure, of leisure and of relaxation, but it’s also a way to discover some of the most picturesque landscape in the world. Whatever the occasion for your holiday, you will be spoilt for choice when deciding how to spend your time. Below we have listed just a few amazing activities to try your hand at, which are bound to keep the family happy too. Set within Grizedale Forest, Go Ape offers a great deal of adventurous activities that are bound to thrill the entire family, including a Treetop Adventure, a Forest Segway course and a Zip Trekking Adventure. The Zip Trekking in particular consists of seven zip lines, one after the other, allowing you to glide effortlessly above the fir trees of the forest; an exhilarating and memorable experience. Especially for kids, there is also a Treetop Junior Adventure, which will ensure that even the smallest members of the family can run amok on an outdoor course. For something a little more relaxing than swinging through the treetops, a Windermere Lake Cruise is an instant winner, with trips lasting from a minimum of 45 minutes to a maximum of 3 hours. With the fresh air in your lungs you can marvel at the enchanting landscape of the Lake District, picking up on all the details of stunning shoreline properties and hotels. You can also combine many of these cruises with other various activities close to Windermere, including the Aquarium, Motor Museum and additional bus journeys that will take you to locations such as Newby Bridge, Ambleside and Kendal. For those intrigued at the historical significance of the Lake District, you can’t get much better than the home of one of the nation’s most famous poets, William Wordsworth. Dove Cottage and the Museum next door can provide you with all the most interesting details regarding the life of Wordsworth, as well as taking you on a journey into life in the 19th century. This excursion will not only supplement your other more adventurous activities, but it will all also provide an intriguing change of pace as you kick back in one of the connected tea rooms and discuss everything you’ve learnt about one of the UK’s most memorable poets. Finding yourself in the midst of poorer weather, you may want to find a fun activity that takes place indoors. So why not try the climbing wall at Ambleside, which is an energetic pastime that is open to children and adults, and hopefully one that will entertain everyone. But if perhaps you are the sort to stay with the bags, there is a comfortable café upstairs where you can watch the other members of your clan casually scaling sheer rock walls. If you hadn’t had enough of discovering the roots and inspirations for one famous writer, how about tracing another? Beatrix Potter was the author behind the famous Tale of Peter Rabbit, and her imaginative view of her surrounding landscape painted a mesmerising picture for her readers in the form of illustrations and writing. This venture is perfect for literary fans, as well as children. For a quieter day of learning and discovery, the World of Beatrix Potter will be time well spent. Have you tried any exciting activities whilst at Skelwith Fold that we haven’t mentioned? Let us know what other amazing things need to be experienced whilst in the Lake District by heading over to our Facebook page.